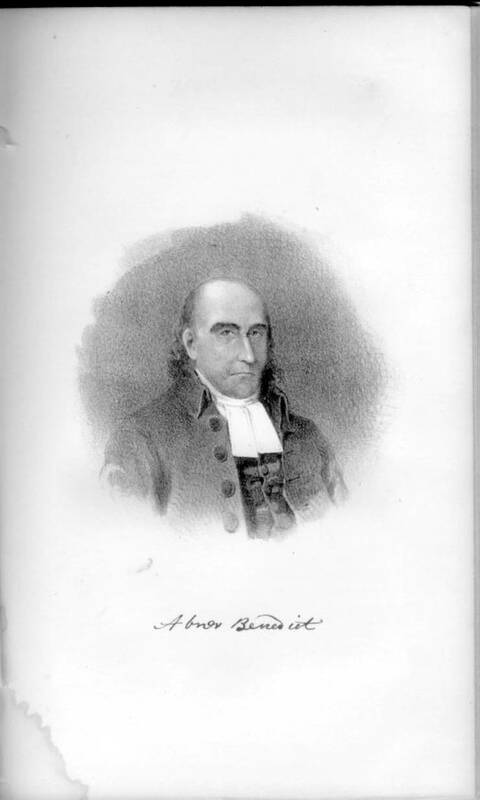 This chapter is about Abner Benedict: —His Birth and Education. —Settled at Middletown. —Becomes Chaplain in the Army at New York. —Description of a Terrific Thunder-storm. —the Battle of Long Island. —His Feelings. —The Last to Leave the Shore in the Retreat. —Inventions in Submarine Navigation. —Manufactures Saltpeter for Powder. —Elected Professor in Yale College. —His Character and Death. Abner Benedict could be called ‘the last man standing’ by the water edge — since he in fact was last the last man to leave Brooklyn Heights. He tells about an amazing thunderstorm and the miraculous escape in the fog. 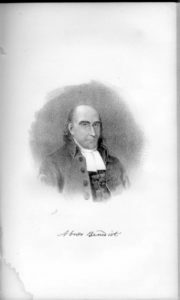 Not only was Abner Benedict an amazing Pastor and Chaplain but an inventor He invented Submarine navigation and a new form of saltpeter for gun powder. This book is the Historical Fact that Christianity (see the link at the end) is the root of our American Heritage and a key factor in the inspiration of the Revolution. God governance is God’s governance and the Citizenry understood this. Those that were Chaplains and Clergy were not just religious mouth pieces. NO, They were warrior Patriots that spoke first the Word of God and then the musket or sword. I am reading this book as if to my Grandchildren. I hope that parents and Grandparents would do the same. I hope and pray more that Pastors would be in these tumultuous times as the same that these Founding Clergy and Chaplains were. The link here to the Table of Contents will be continuously updated as each chapter video is completed and then linked from the Sam Adams Returns Youtube channel.